Introduction: Lodha Meridian Apartments, aims to enrich lives by setting new standards for customer centricity, architectural design, quality, and safety. These Residential Apartments in Hyderabad comes with a view that is unbounded and captivating. Every nook and corner of the Lodha Meridian reflects beauty in its true sense. Lodha Meridian by LODHA Group in Kukatpally ensures privacy and exclusivity to its residents. The ambiance of Lodha Meridian is truly a marvelous sight to behold. Lodha Meridian is one of the best investments in Residential properties in Hyderabad. The Apartments in Lodha Meridian are strategically constructed keeping in mind the best of architecture both from inside as well as outside. From stylish flooring to spacious balconies, standard kitchen size and high-quality fixtures, every little detail here grants it an attractive look. 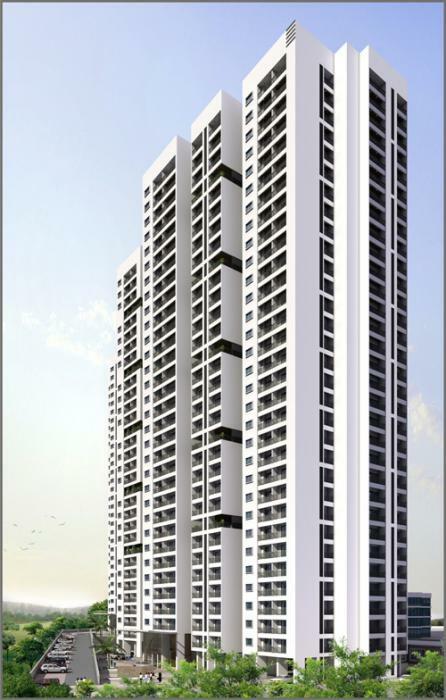 Lodha Meridian offers beautiful 2 BHK and 3 BHK Apartments in Hyderabad. The price of Apartments in Kukatpally is ideal for the home-buyers looking for a property in Hyderabad. Amenities: Lodha Meridian comprises of a wide array of amenities that include Landscaped Garden, Indoor Games, Swimming Pool, Gymnasium, Play Area, Club House, Library, Tennis Court, Badminton Court, Cafeteria, Car Parking, Cricket Court, Basket Ball Court, Meditation Hall, Table Tennis, Multi-purpose Hall, Snooker and Security. Location Advantage: The address of Lodha Meridian is well suited for the ones who wants to enjoy a contemporary lifestyle with all the nearby major utilities like schools, colleges, hospitals,supermarts, parks and recreational centers. Established in 1980, privately held Lodha Group is India's No 1 real estate developer and amongst the world's select multinational real estate developers with presence in India and the United Kingdom. The company is one of the most profitable players in India and the largest by sales for three consecutive years. It achieved net sales of INR 7,790 Cr for FY 14-15 and INR 7,520 Cr for FY 13-14 with INR 8,092 Cr in FY 12-13 and INR 3,911 Cr in FY 11-12. The Group is currently developing an estimated 43 million sqft of prime real estate with the largest land reserves in MMR, and has 28 ongoing projects across London, Mumbai, Pune and Hyderabad and expanding in Bangalore. The group has the largest land bank of over 6,200 acres with an estimated saleable area of -553 million sq ft. Location of this project offers decent life style and has access to Malls, Workplaces. But does not have access to Super Markets, Parks. etc. It has access to Workplaces like Oracle India Private Limited and Malls like Nsl Centrum mall and Schools like Dr KkrS Gowtham Concept School This location is recommended for people who have 24x7 help for daily needs. Review of Lodha Meridian, Kukatpally? Its price, location, builder etc. Review of Lodha Group, Kukatpally? construction quality, trustworthy, delivery history etc.? Review of Lodha Meridian, Kukatpally location? neighbourhood, connectivity, schools etc.? Comparison of Lodha Meridian, Kukatpally to nearby projects? Is it rightly priced? What is your feedback on this Lodha Meridian, Kukatpally? Depends on brand name and complete the project in time etc? Will this be a better option for investment or to live in Lodha Meridian, Kukatpally? Can you give some suggestion? Is the Lodha Meridian, Kukatpally has more potential in terms of capital appreciation, ROI, Rentals, Proximity to social infrastructure etc?